Join Our Family of Caregivers! Do any of the following qualities describe you? 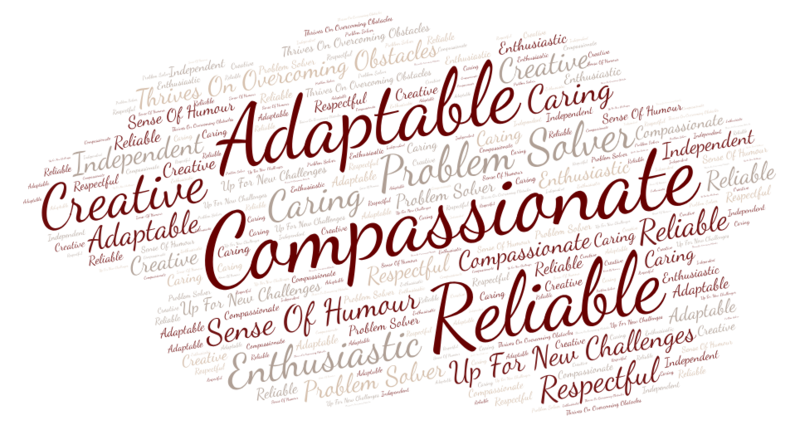 Our family of outstanding caregivers demonstrate these traits every day. Caregiving is about so much more than just physically assisting someone, it is about being a companion and a friend. Our caregivers are empathetic and understanding, they listen with an open mind and a caring heart, they slow down and match the pace of the senior for whom they are caring. Since clients choose their own visit time, we aren’t hiring for set shift times, we are hiring wonderful people who will be able to match the needs of individual clients. Therefore, we have a variety of shifts available daytime, evening, overnight and on weekends. We also have full-time and part-time hours available. The broader your availability, the more easily you can be matched with clients who need you. Our shifts can vary in length but are guaranteed never to be less than 3 hours. Many jobs are about punching a clock, but at Warm Embrace, you can work for more than just a pay cheque and make a difference while making a living. As a Warm Embrace caregiver, you can be someone’s hero every day and be a part of our compassionate team of people working for a common purpose. We live our mission and values every day and make a real difference in people’s lives. If this is also your passion, we want to hear from you. Experience in caregiving is an asset, whether it be professionally, or caring for a loved one. Warm Embrace provides extensive upfront and ongoing training. You bring the heart of compassion; we will provide the skill training. If you believe that this is your passion and that you would make an exceptional caregiver then please apply today! Warm Embrace Elder Care Ltd. is committed to fostering an inclusive, accessible work environment, where all employees feel valued, respected and supported. Warm Embrace Elder Care Ltd. offers accommodation for applicants with disabilities as part of its recruitment process. If you are contacted to arrange for an interview, please advise us if you require accommodation.